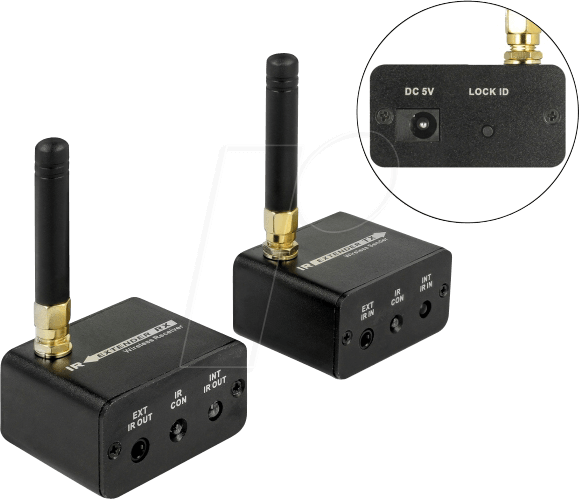 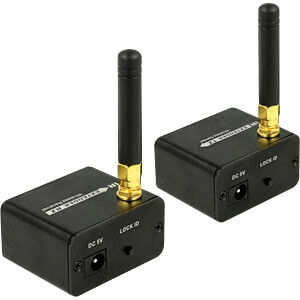 This compact, wireless IR extender set by Delock makes it possible to control AV devices over long distances with an IR remote control, even if there is no direct line of sight. 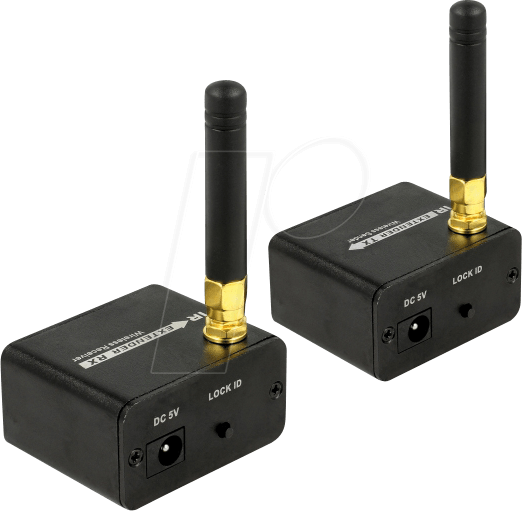 The used radio technology works through ceilings and walls, or from another room. 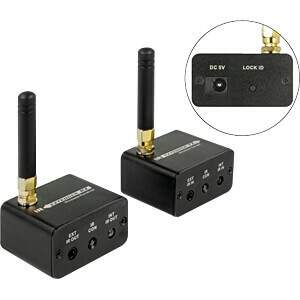 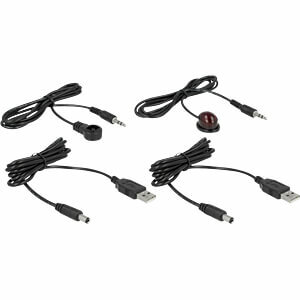 An additional IR cable can be connected to the transmitter and receiver to reach fixed devices.